Geography: Wales, South Glamorgan. Part of the Cardiff council area. Main population centres: Cardiff, Roath, Pentwyn, Cyncoed. Profile: A compact seat which includes the city centre itself, the Millenium Stadium, the university area of Cardiff, the Victorian avenues and terraces of Roath and the leafy suburb of Cyncoed to the north. It is very much a university seat, with one of the highest proportions of students of any seat in the country. Politics: Containing some of the more affluent and desirable suburbs of Cardiff, Cardiff central was a Conservative held marginal during the 1980s. However since then the Liberal Democrats surplanted them in second place, and ultimately won the seat in 2005 before losing it again in the post-coaltion rout of 2015. JO STEVENS (Labour) Born 1966, Swansea. Educated at Manchester University. Former solicitor. First elected as MP for Cardiff Central in 2015. RICHARD HOPKIN (Conservative) Born Wales. Educated at Cambridge University. JO STEVENS (Labour) Born 1966, Swansea. Educated at Manchester University. Solicitor. JENNIFER WILLOTT (Liberal Democrat) Born 1974, Wimbledon. Educated at Wimbledon High School and Durham University. Researcher to Lembit Opik. Merton councillor 1998-2000. Contested Cardiff Central 2001. MP for Cardiff Central 2005 to 2015. Government whip since 2012. ANTHONY RAYBOULD (UKIP) Born Pontypridd. CHRIS VON RUHLAND (Green) Born London. Biomedical scientist. Contested Cardiff North 2010. MARTIN POLLARD (Plaid) Born 1977, London. Educated at Cardiff University. Education officer. If I were Labour I’d be awfully inclined not to offer anything to Plaid. I’m not at all convinced that Plaid want to go back to the electorate with the idea of a Government dependent on Tory and UKIP support. The small difficulty then is that it may well be that all or some of the Tory and UKIP AMs abstaining next time there is a vote is what ends up getting Carwyn in – then the tables would be turned and Plaid could accuse Labour of being dependant on Tory and UKIP support. Labour minority administration set to be voted in tomorrow after talks with Plaid. Looks like Plaid have basically folded. They seem to have got nothing much in return. “The leader of Plaid Cymru has said she has been taken aback by the strength of the campaign in Wales to leave the EU. Plaid voters are almost split down the middle too (unlike all other Parties of the Left). I can’t see Remain winning decisively in any Welsh areas apart from Cardiff Central and perhaps Ceredigion. Monmouth may vote Remain due to being so middle-class. I think that’s right. It’s wrong to bracket Wales with NI and Scotland, as the media have lazily been doing. IMO Wales will be somewhere between 50/50 and slightly leaning to Leave (ie. pretty similar to England overall). Interesting that the loud campaigning about how much money Wales gets from the EU seems to have had little effect, in contrast to NI. I’m not sure the money is anything to do with the likely pro-Remain result in NI. For obvious reasons (the border, integration with the Republic generally etc.) nationalists are very strongly in favour of the EU. That means that even though the unionist vote is divided (or even Leave-leaning) overall NI is strongly pro-Remain. As ever NI is best viewed as two political systems rather than one. Arguably the unionist vote would be much more pro-Leave if it weren’t for all the EU subsidy, but I take your point. Back to Wales, it will be interesting to see how the nationalist areas vote. I imagine most of the Labour and Tory seats outside Cardiff will go for Leave. The thing about Northern Ireland is that a heavy proportion of nationalists are accustomed to not voting at all. The question is whether they’ll make an exception for the referendum. If not, Leave may do better than expected. North Antrim, the deeply unionist seat represented by the Paisleys and where the ultra hard-line TUV have consistently got 15% or so of the vote, could be an outside shot for one of the highest Leave votes in the whole UK. Jack S – yes I was just about to make a similar point re how different the votes will be in N Antrim v Foyle. Sinn Fein & the SDLP just tend to hold opposite positions to the DUP on almost any issue, eg Israel, gay rights, abortion and so on. I’d expect Unionists to vote almost 70% for Leave and Nationalists 75%+ for Remain. The polls have apparently been showing Nationalists voting 90% Remain and Unionists about 65% Leave. Well I wouldn’t fancy polling in West Belfast to find out. I think the new Leftist outfits are both pro Leave there, but I could see the SF vote being 90% Remain. I doubt Wales will go decisively either way, it should be close. Green and Alliance supporters in NI polled overwhelmingly for remain, it was a similar percentage to the nationalists if I remember rightly. There is a council by-election coming up shortly in the Plasnewydd Ward which covers roath. A date has not been set yet but this could be close as last time in 2012 labour took all four seats but only beat one of the lib dem candidate by less than 50 votes. Given the current unpopularity of the council it could be a lib dem gain. My guess a definite case of Plopwell there. Far too many students for the Libs to be seriously competitive these days unless its a Tory held seat (which obviously this isn’t) Also there was probably a lot of strategic votes from Tories here who now might drift back to their preferred choice thus depressing the Lib vote further. Final thing to consider the Libs have lost incumbency now and Lab will have first time incumbency next election. What’s more Stevens is something of a perfect fit for the seat. If I had to guess I’d say this all points to an increased Lab majority here next time. Maybe the LDs have a sniff of the assembly seat though. IIRC they weren’t that far away in May. But the turnout in the assembly seat was over 20 points lower than at the GE and I don’t think its too big a guess that it was primarily students who didn’t bother to vote for the AE which undoubtedly aided the Lib Dems but makes the seat a very tough nut in the higher turnout GE. The profile reminds us of this seat’s Conservative past. Any chance the Lib Dems fall far enough (or they increase enough) for them to regain second place? If the stars aligned Tories could probably nab second place but truthfully Cardiff Tories would much rather see the seat partitioned with Cyncoed added to Cardiff North. There is a council by election in the Plasnewydd Ward of Cardiff Central on September 20th. This will be interesting and maybe give an idea of whether the close Assembly election result was a sign of a lib dem revival or just students not bothering to vote. It doesn’t make a huge difference if the boundary review goes through, this seat is partitioned amongst its neighbours and the areas of Lib Dem strength with it. Lib Dem gain from Labour. And very poor PC and Green result. As I understand it, the existing boundaries will be used for the 2021 Assembly election. The Lib Dems will probably take this by-election result as a signal to really work this seat. The 1997 to 2005 Scottish Westminster Constituencies that were abolished at Westminster in 2005 when Scotland was reduced from 72 to 59 constituencies were used again at the 2007 Holyrood elections before being abolished in 2011. 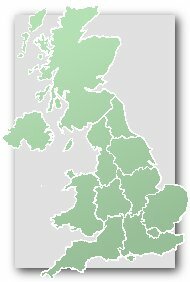 Political parties in Scotland are now generally organised by the 73 Holyrood rather than 59 Westminster constituencies. I would imagine Wales will follow suit. Do any political parties in Scotland still organise themselves by parliamentary constituency? Jo Stevens appointed shadow welsh secretary. Confirmed on BBC News too now. On each constituency thread the posts form a conversation. Paul D was responding to the post immediately above, by BM11. So the “she” in question is the MP for this seat, Jo Stevens. Before posting again, you should spend some time looking around the site to understand how it works. You should also look at the “comments” policy. There’s talk of Labour Whips voting against the party line on A50. If this does happen, has this ever happened before. I have had a look and I can’t see any precedent. She might head off some of the likely swing to the Lib Dems by opposing Article 50 (see Plasnewydd by-election above). Local elections are in May, with all seats up. Cardiff voted remain. IIRC Rosie Winterton voted to intervene in Syria. But I guess that was a free vote so it doesn’t really count. Is it known whether any Conservative backbenchers are planning to vote against or to abstain? Very few Tories will vote against. ..SOUBRY, CLARKE are the only two very likely to vote against triggering A50. Soubry has said several times that she will vote with the government – in fact she called for Article 50 to be triggered on the morning of 24th June (in admittedly a somewhat tired and emotional state – I can’t find the video unfortunately). Ken Clarke has said he expects to be the only Conservative opposing. I call them rebels, I’m still half-expecting Jeremy Corbyn to relax the whip – but he is nothing if not stubborn (or “principled” as his followers describe it). It is interesting that of the 13 Labour MPs on the “definite no” list, 6 are first time MPs who replaced Lib Dems in 2015. Also notable is that every “definite” on that list represents a remain-voting seat (according to Hanretty). Even Pontypridd which I was somewhat surprised by (not sure I trust the Hanretty estimate there). Among the “on the fence” contingent, Angela Smith (Penistone & Stockbridge), Graham Allen (Nottingham North) and Paul Farrelly (Newcastle-under-Lyme) represent leave constituencies. “Tried and emotional” – is that still a euphemism for pissed as a newt? Yup. Though it was kind of hard to tell whether she was merely distraught or whether she had been drowning her sorrows. I also realise my hypocrisy for using this phrase when I recently called out someone else on another thread for using “enhanced interrogation” to mean something more sinister. 47 rebels. 9 in Leave seats – Pontypridd, Bridgend, Cynon Valley, Rhondda, Southampton Test, Wakefield, Nottingham N & S & Newcastle-under-Lyme. Not too bad for Corbyn considering the cause. Welsh rebels can cite SM, Nottm and Soton financial impact & relatively close votes. Creagh & Farrelly will need to cite conscientious objection. Labour Cllr Manzoor Ahmed has joined the LibDems on the City Council. Labour Cllr Ralph Cook – who had been sitting as an Ind Green – has now joined the LibDems on the City Council.